I would like to inquire about your property Bayut - 423-Ap-S-1756. Please contact me at your earliest convenience. Spacious 1 Bedroom Apartment for Sale in University Views ,Dubai Silicon oasis. 3 interconnected buildings featuring studio and 1 bedroom apartments. Education - Educational institutions such as RIT Dubai, GEMS School and International Indian High School. Silicon Oasis is strategically located at the intersection between Muhammad Bin Zayed Road and Al Ain Road. Easy access to Emirates Road. Well connected to the important landmarks within the city:15 minutes to Dubai World Trade Centre, the Dubai Airport and Down Town Dubai. 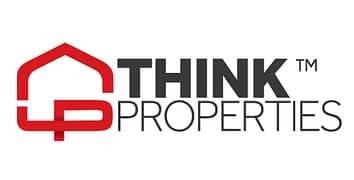 Think Properties Real Estate is boutique real estate firm that specializes in residential, commercial sales and rental of properties in UAE, focusing mainly in emirates Dubai and Abu Dhabi.